The beating heart of Dublin laid bare in over 100 remarkable stories and photographs. A little over two years ago, Peter Varga began a photo project that would change the course of his life. Inspired by the success of similar projects internationally, he began to walk the streets of Dublin, interviewing and photographing those he met along the way, and worked to uncover the powerful stories hiding in plain sight and post his work online. The result is a remarkable collection of character studies, drawn from the blog, which captures the vibrancy and diversity of Dublin life. From tales of inspiration and joy to those of heartbreak and loss, all of human life is in this best-of collection from Peter's library. 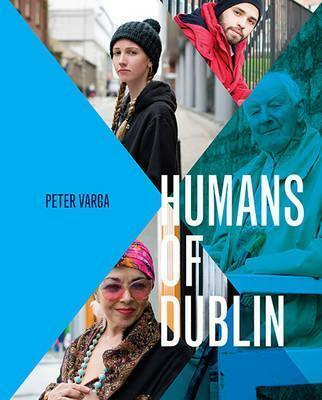 Presented in a beautifully produced hardback format, Humans of Dublin promises to open readers' eyes to the wonders of life in Ireland's capital. Peter Varga was working in a Dublin cafe when he decided to follow his passion and dedicate himself to photography. So began the social media phenomenon that is Humans of Dublin, whose Facebook page has over 100,000 followers. Peter's photographs and stories have been picked up and gone viral on TheJournal.ie, The Irish Independent, RTE and BBC online, among others. A native of Budapest, Peter has lived in Dublin for nine years.